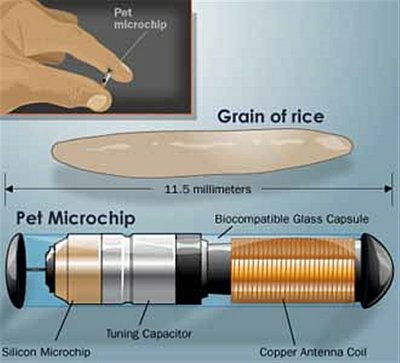 Microchipping is a quick and simple process of inserting a small microchip, about the size of a grain of rice, under the cat's skin between the shoulder blades. Each micro chip has its own unique number which can be read by a scanner in a similar way to which items in the supermarket have bar codes which are scanned at the till. The number is stored on a national data base, along with the human's address and contact details. It is very important therefore that you keep your contact details up to date and inform the data base of any changes - especially if you move house. It's much more reliable than a collar which can be lost or removed if the cat strays. If you've adopted a cat or kitten from 8 Lives its 99% certain s/he will be chipped by the time s/he comes to you. You'll be given details of the chip number and the rescue will arrange with the chip company to have the cat's details changed and updated. 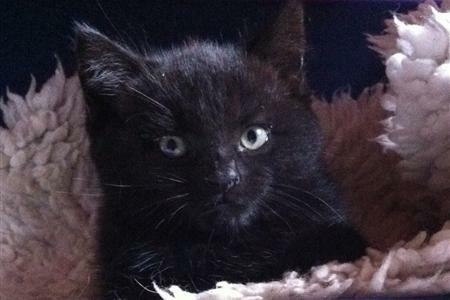 Kittens can be chipped from about 8 weeks old, ideally a little older. 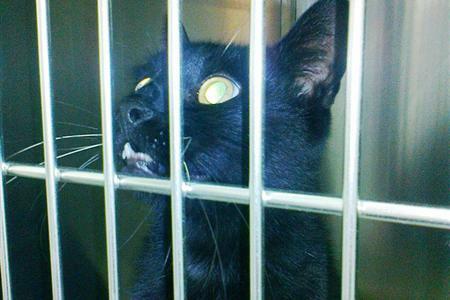 Many people opt to have kittens chipped whilst they're under anaesthetic being neutered. 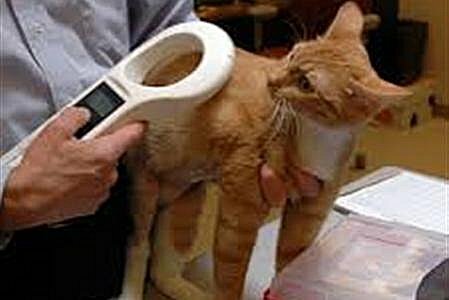 However it only takes about the same time to do as a vaccination does, and mostly, especially when done by an experienced implanted the kitten / cat barely notices it. Benson - opposite - was chipped at age 8 weeks with no problems at all.